TO APPRECIATE JUST HOW BIG CONEXPO IS, YOU HAVE TO BE THERE. THAT’S EXACTLY WHAT THE ALLURE TOUR DID, HEADING TO LAS VEGAS FOR THE LARGEST CONSTRUCTION TRADE SHOW IN NORTH AMERICA WITH OVER 2500 EXHIBITORS. 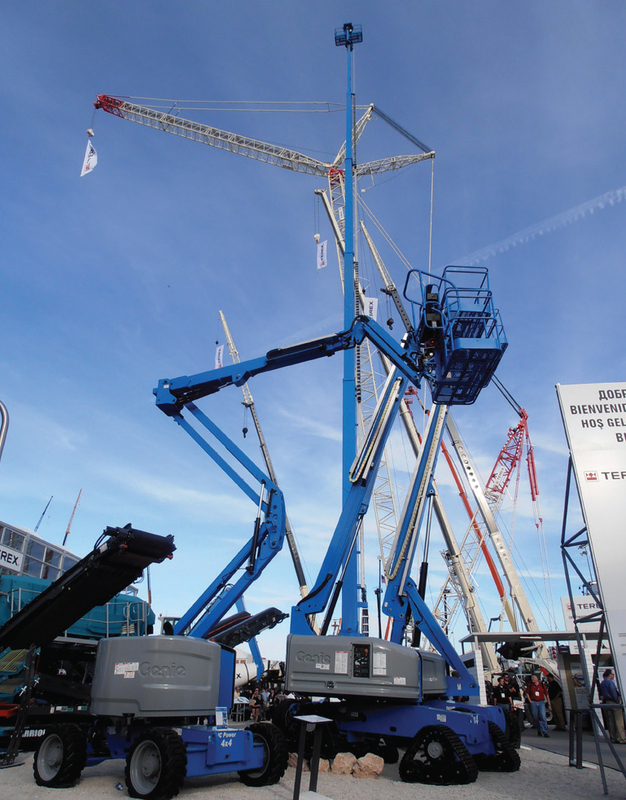 Held every three years, Terex took a prominent display with the new Genie® SX-180 boom lift being a highlight. For many of the Asia Pacific group, this was their first opportunity to see the much heralded Genie SX- 180 boom lift first hand. Everyone agreed that this is a remarkable piece of equipment. With most of the major customers from the Asia Pacific region attending CONEXPO, it was a wonderful opportunity to not only showcase all the latest innovations from Genie, but also further build on the business relationships. For many, it was a chance to meet new friends. CONEXPO itself had more than 130,000 visitors with an average of 5,000 visitors coming through the Terex display each day.